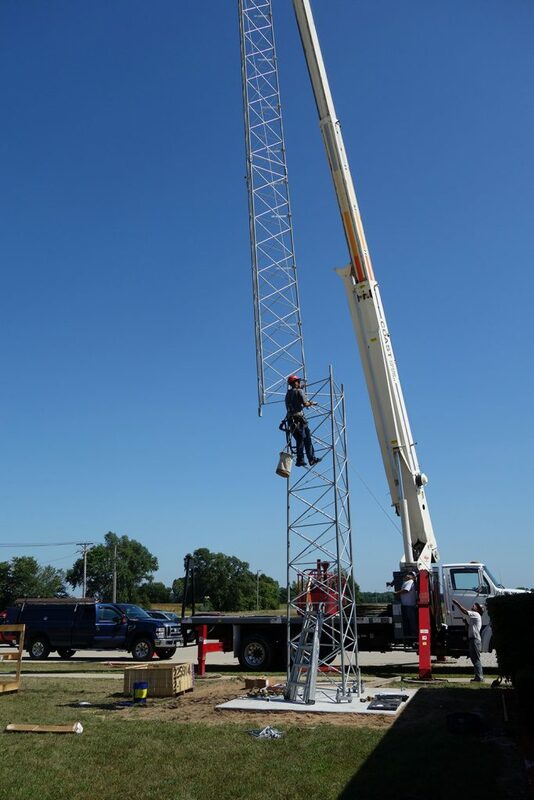 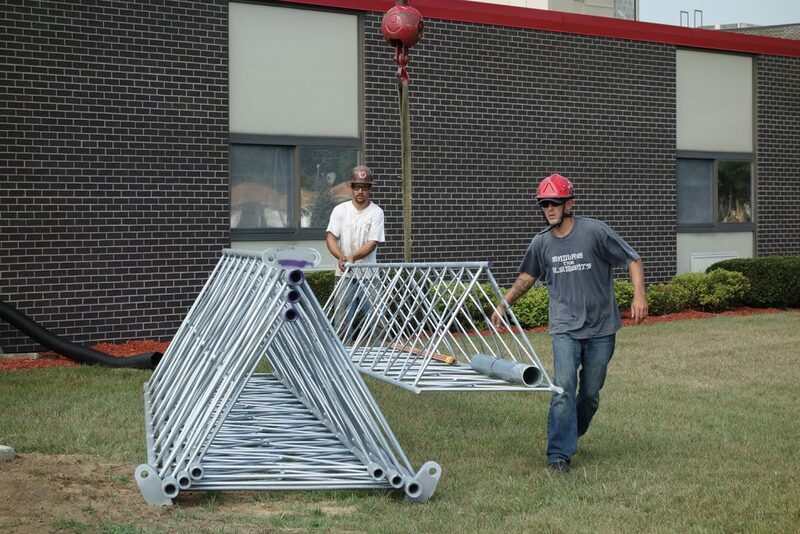 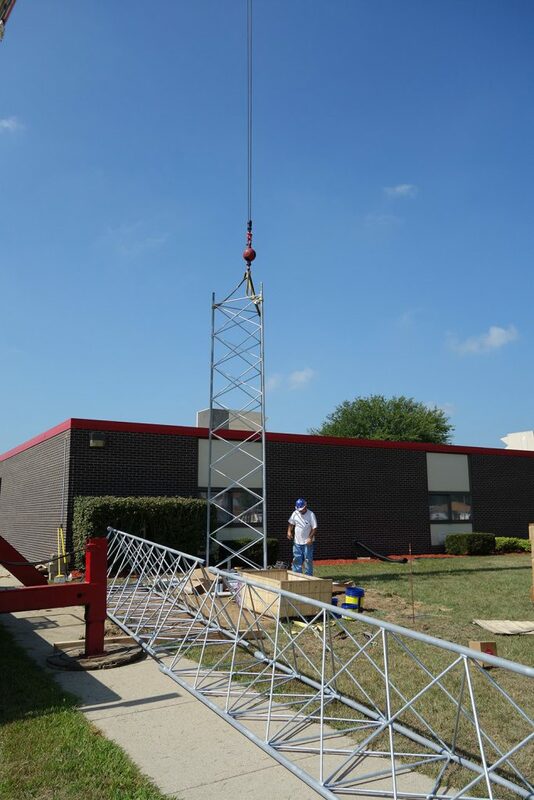 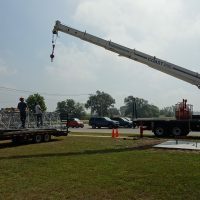 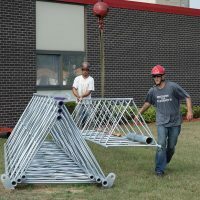 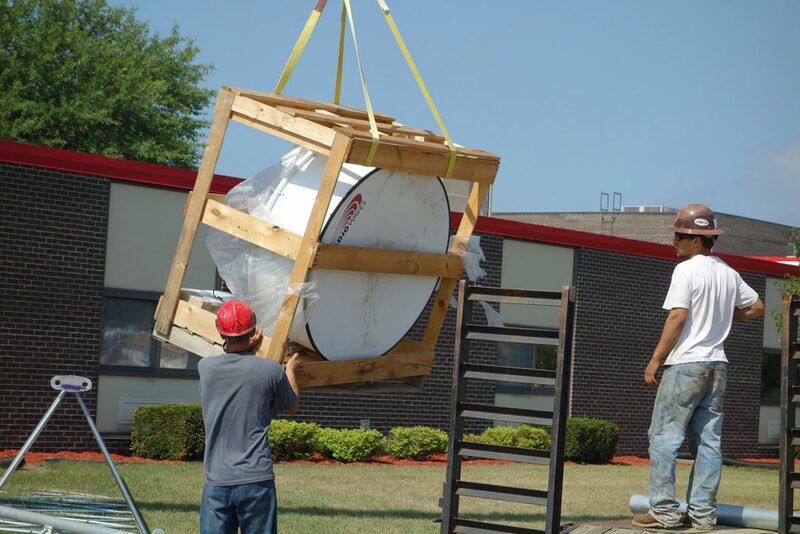 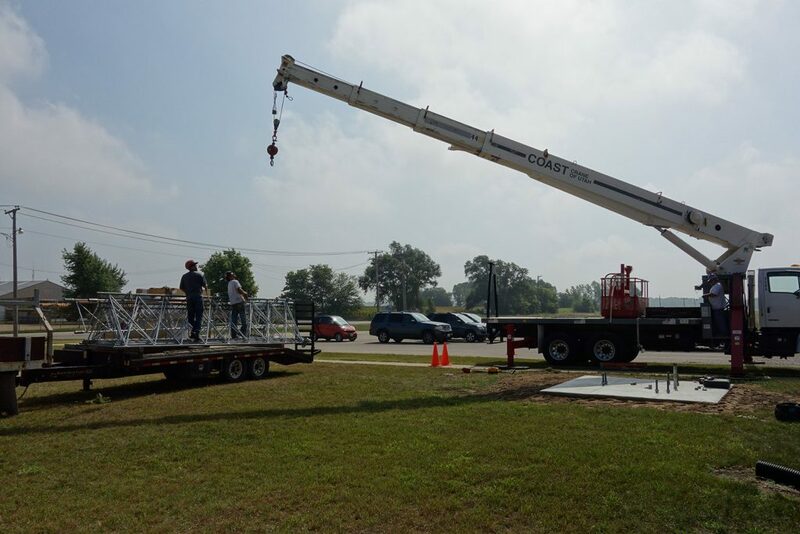 Construction of the tower and microwave link at the Erie School District, pictured above, was part of a larger iFiber project. 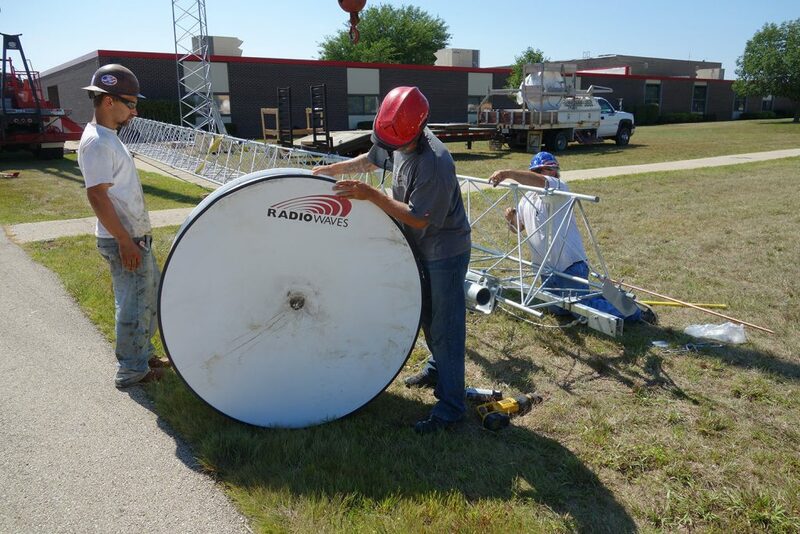 Urbancom.net has been awarded a multi-million dollar contract to design and build a broadband microwave network to provide high speed Internet throughout nine northwest Illinois counties. 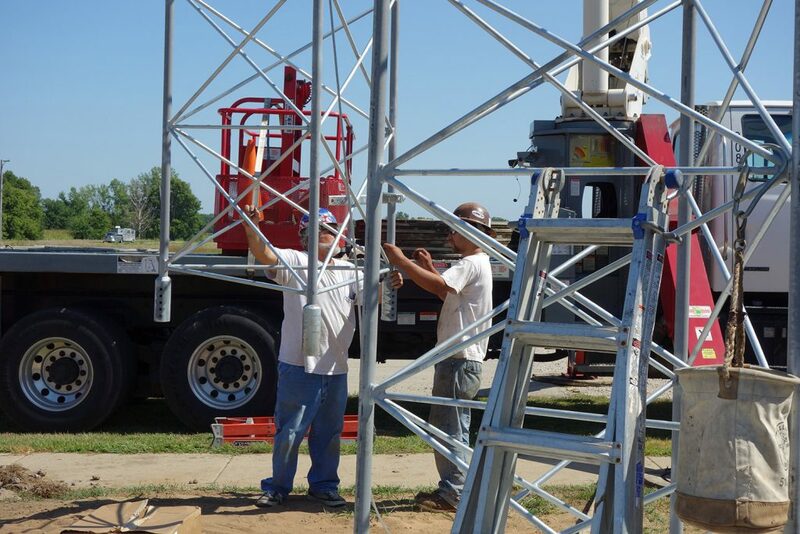 This network is part of the $68.5 million broadband stimulus NTIA BTOP grant to iFiber. 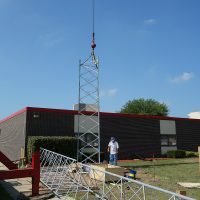 The network will provide more than 500 community anchor institutions with speeds of up to 1 Gbps via the 900 mile fiber and microwave network. 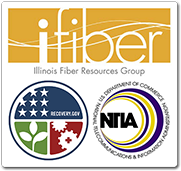 The Illinois Fiber Resources Group (iFiber) is an Illinois not-for-profit organization and public-private partnership dedicated to improving broadband infrastructure for community anchor institutions such as schools, government, public safety, libraries, community colleges, and health care providers. 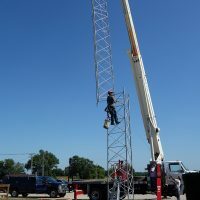 Combining dark fiber and wireless infrastructure, Urbancom.net designed a reliable high-speed broadband backbone network for the nine-county region that supports up to 10 Gbps. 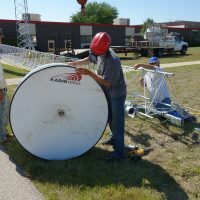 Carrier grade wireless microwave technology cost-effectively connects more users at speeds between 100Mbps and 1Gbps than direct fiber connection on the 900-mile fiber optic network backbone. 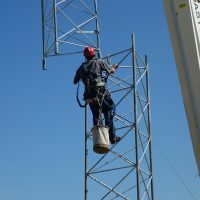 This leads to efficiency in service as well as increases remote off-site storage capabilities, enhancing the overall potential for economic development in the region. 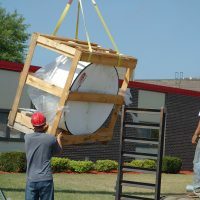 According to John Lewis, chairman of the iFiber board, Urbancom.net is uniquely qualified to provide the wireless portion of the network and bring broadband access to rural Illinois. 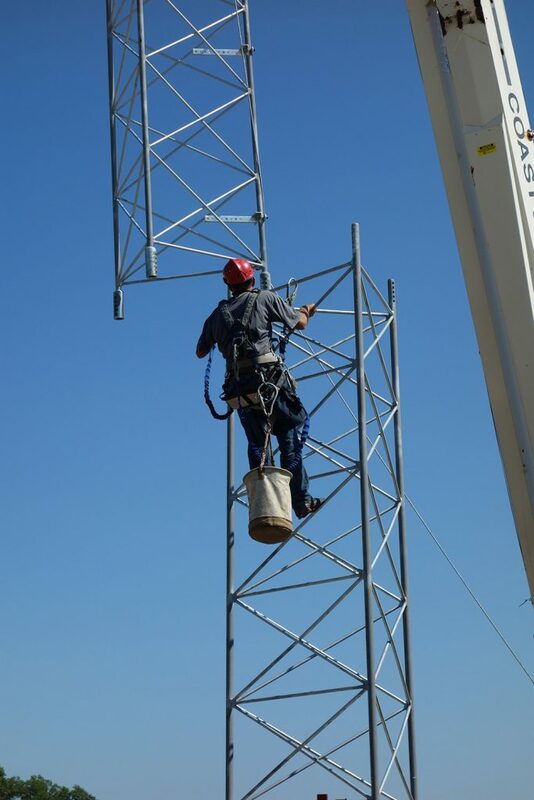 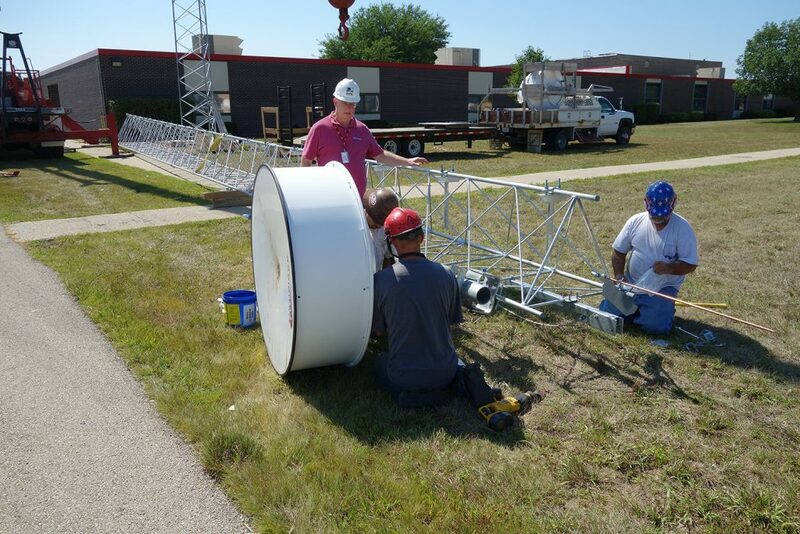 “Adding microwave wireless to the dark fiber is an integral part of completing this robust broadband project. 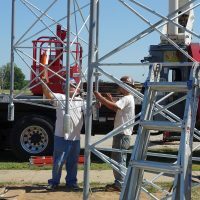 Working together, this is how we capitalize on President Obama’s goal to make high-speed broadband available throughout the U.S., to keep America competitive in the world market,” Edmund G. Urban III, President/CEO of Urbancom.net added.